If you’re a Thomson baby or have delivered your child/children at Thomson Medical, join us at Thomson Celebrating Life Family Day! 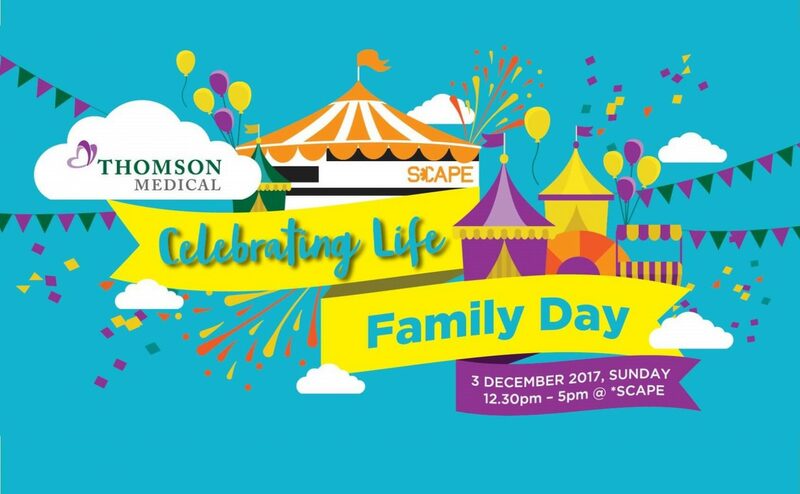 Come for a FREE Thomson Celebrating Life family carnival to celebrate the launch of Thomson Celebrating Life, the first healthcare loyalty programme. Various exciting and interactive programmes and activities lined-up for the whole family! Guest of Honour, Mr Chee Hong Tat, Senior Minister of State, Ministry of Health and Ministry of Communications and Information, will also be there to grace our event! Proceed to The Ground Theatre at *SCAPE for registration. Kindly RSVP by 24 November 2017.